GRI chose to celebrate the one-year anniversary of its factory that makes specialty tires by launching 100 unique tire sizes. The production at GRI’s specialty tire manufacturing facility consists of 70 percent agricultural tires while pneumatic construction tires and forklift tires account for the balance 30 percent. Commenting on the anniversary and the launch of 100 unique sizes, Prabhash Subasinghe, Managing Director, GRI said that the company is now in the position to serve the farming needs of the global agriculture industry with its large range of high-quality radials and bias tires. He added that in addition to the number of sizes, the tires that GRI makes are recognized for their quality and dependability. From the time that it opened the specialty tire manufacturing facility, GRI has implemented the strategy of a higher level of automation, by using state of the art technology in its modern manufacturing units. The outcome has been a higher level of precision, more consistent quality, shorter cycle times, better efficiency, less wastage and increased safety. 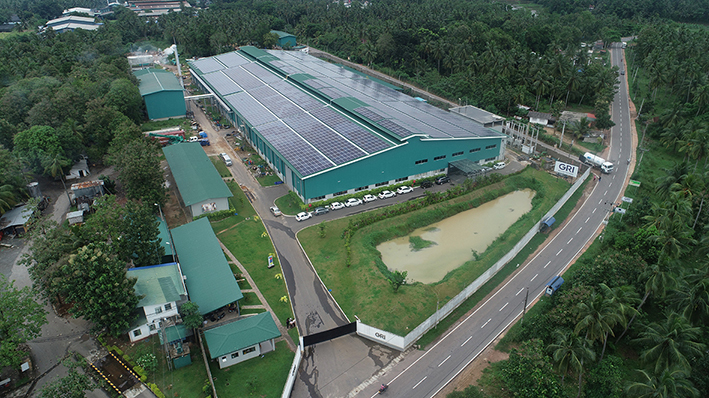 Some of the machines that have been recently installed in the GRI plant are the first such machines to be used in Sri Lanka. Examples of such equipment include the Marangoni tire building machine, the tire endurance tester, the plunger tester, and many other high-end machines. GRIs new specialty tire factory has been certified by ISO 9001:2015 and ISO 14001:2015 and recently was accredited with the ISO 50001 Energy Management certification. When it comes to energy needs, it is completely self-sufficient and the company’s commitment to sustainability is seen through its use of 1.2-Megawatt solar panels, biomass boilers and fully recyclable waste and water management systems. Some of the high quality tires made at the plant include the Radial range of GREEN XLR 65, 70, 80 and Row Crop Tractor and GREEN XLR Floatation Radial tires as well as the Bias range of, GREEN EX RIB 3 implement tires, GREEN EX F77 Flotation Bias and RT100 Tractor tires. N the future, GRI plans to launch more ambitious and exponential development programs. These include the opening of a new Mixing Plant and this is expected to further enhance the capacity of the specialty tire factory. “With the goal of advancement and continuous improvement at its forefront, and in an ever changing, complex and uncertain world, we rise to the challenge of providing the best specialty tires possible.” Concluded Prabhash Subasinghe.